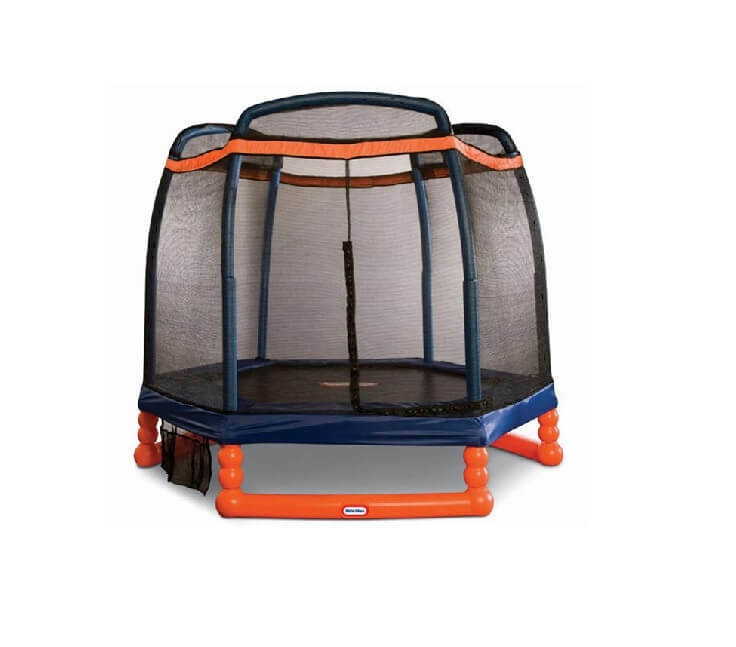 Being one of the first mini trampolines with ASTM safety approval on the market, Galt Mini Trampoline has shown itself as one of the most popular mini trampolines made for kids & toddlers. 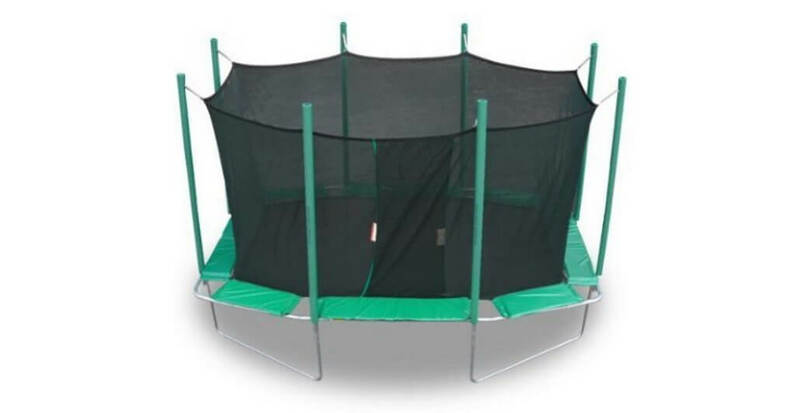 As with all mini trampolines for kids, manufacturer recommends Galt trampoline for children age 3+, but thanks to attached handle, even younger children (2+) will be able to enjoy full scope of it`s possibilities. 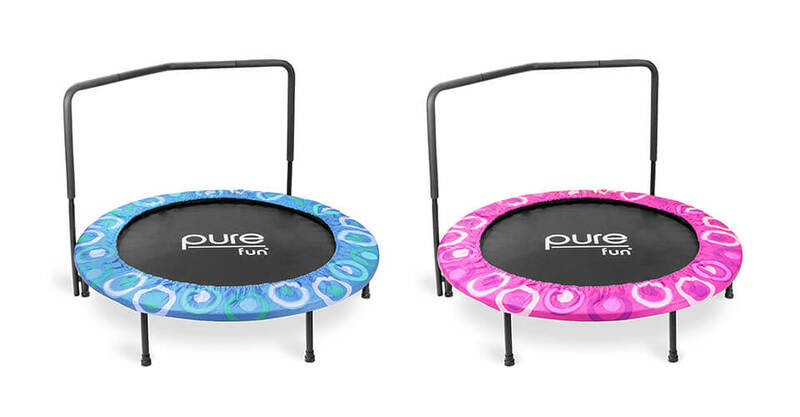 As it is waterproof, it is suitable for both outdoor or indoor use providing your children hours of play, no matter what. Safety? 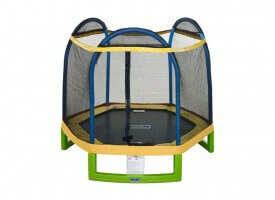 Make no mistakes as while this trampoline is made for kids adult supervision is required!! 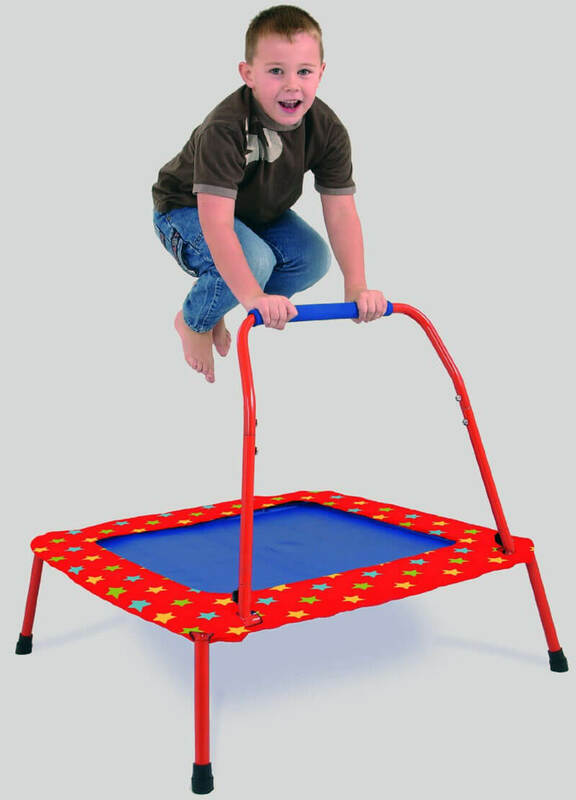 Trampoline of any kind is not a kindergarten. 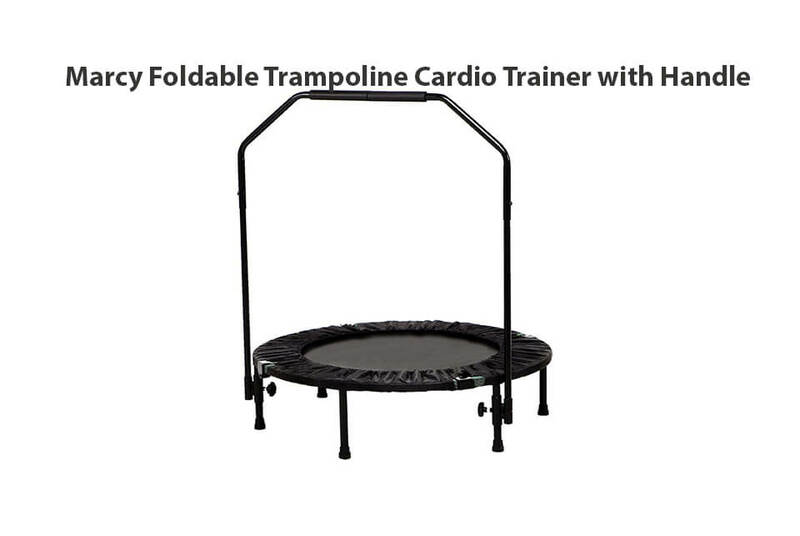 Read full Galt mini trampoline review below! 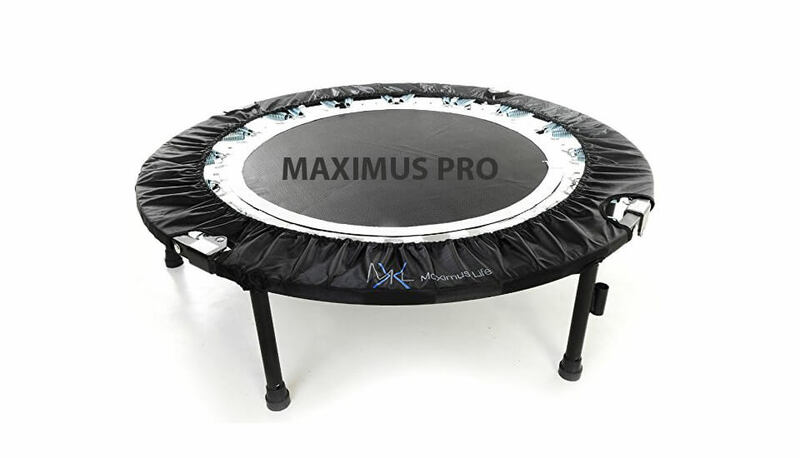 Trampoline has total weight of 17 lbs, making it maybe a bit to light, so make sure that you keep jumping weight within limits or trampoline will be jumping together with the jumper! 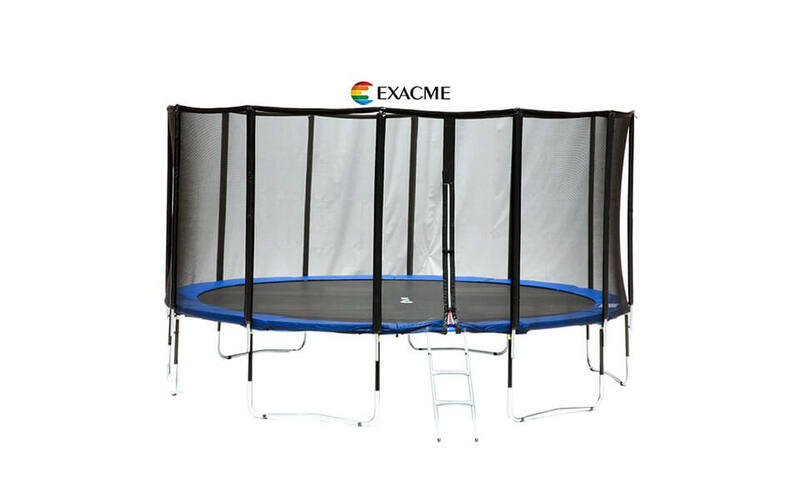 Even though it is folding trampoline, you may find it hard to do it by yourself, so we advise ynot to do it too often. Have in mind that handle bar is not removable. Frame: Tubular steel frame with 4 legs. Fold-able for easy storage. 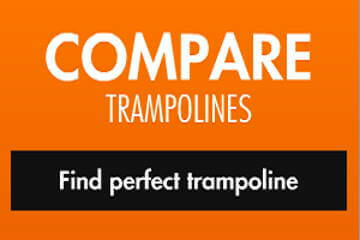 Springs: Rebounding bungee cords which are generally safer than standard trampoline springs. They are attached to the mat and the frame. 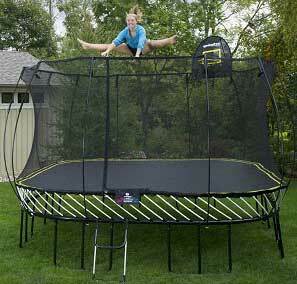 If you need slight tweaking because jumpers are too light then simply adjust the tension by loosening cords a bit. 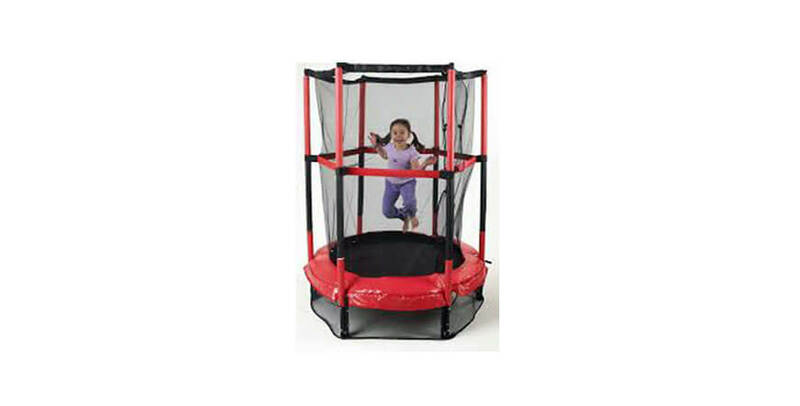 Trampoline mat: Waterproof trampoline mat with padding all around to cover the springs (cords) and frame. Available jumping space approx. 32-inches. 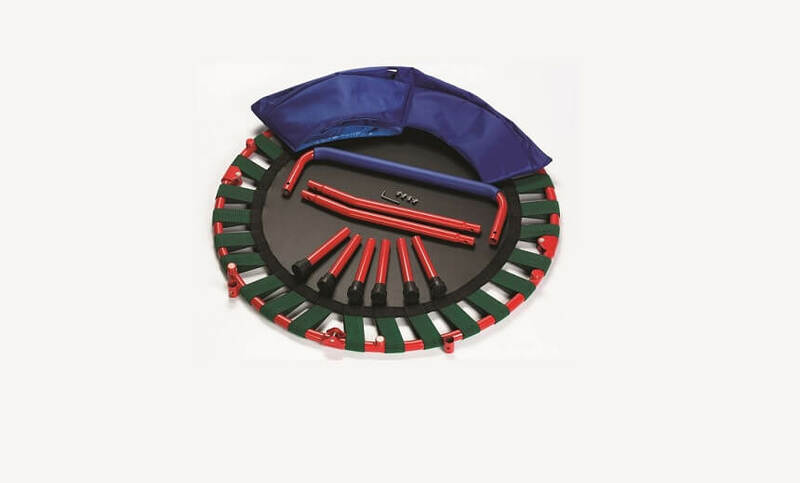 Jogging handle: Easy-grip “u” shape handle for kids and is approx. 20″ long and 9″ tall. 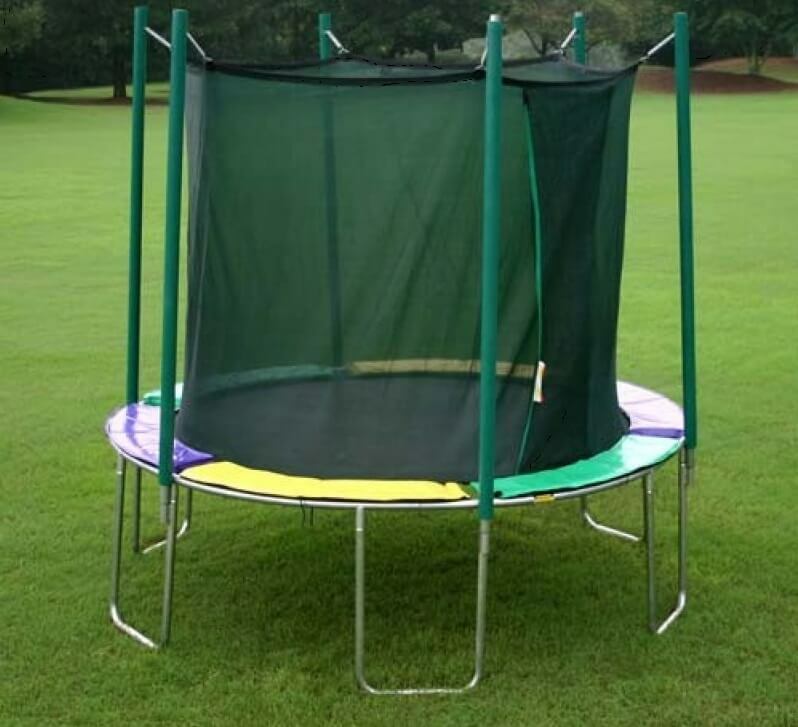 Handle can`t be easily removed from this mini trampoline. Assembly: Assembly manual is provided within kit and instructions are fairly easy to follow. Of course, if you plan to use them as it is simple to assemble. Only problem you might have with bungee cords as this process is time consuming and little tricky. It would be way better if springs would be pre-assembled. 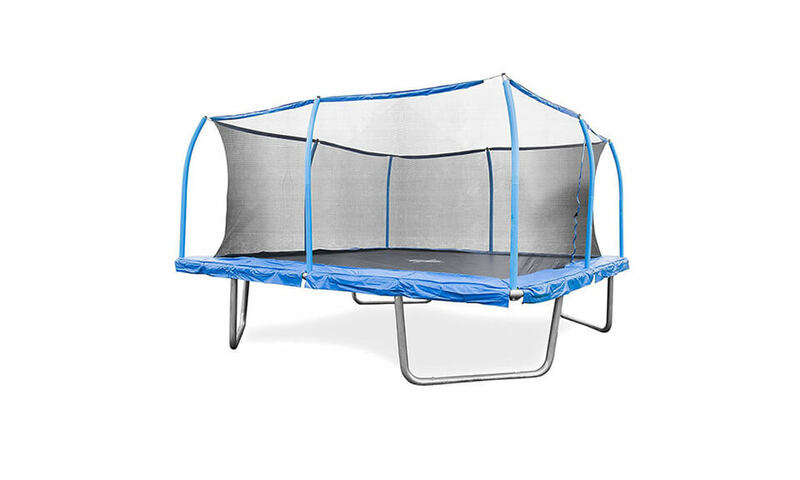 Assembled height 2.7 ft. (32.25-inches) from floor to handle with total dimensions 33.75 x 33.75 x 32-inches. Warranty: 1 year of limited warranty. 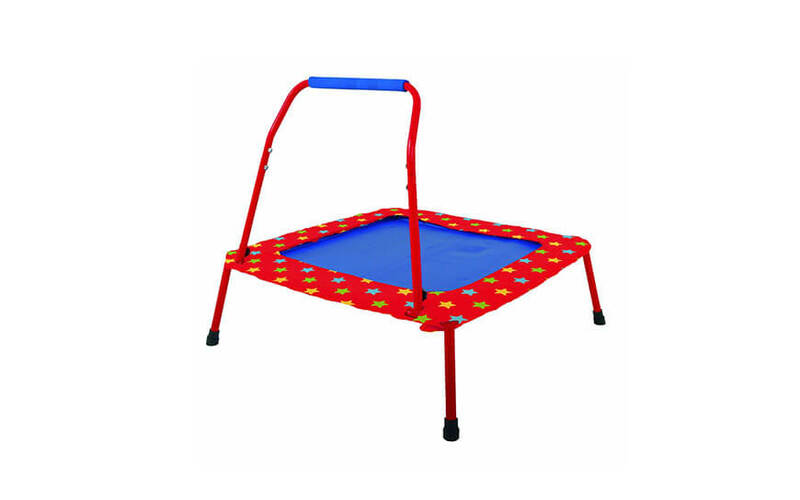 Good trampoline if used by pre-school children. 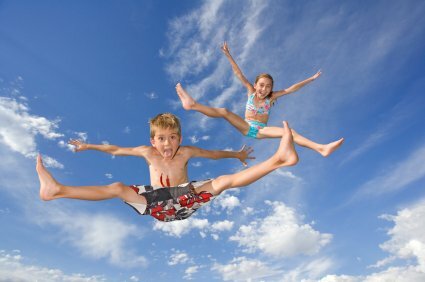 One major drawback is quality of bungee cords, so make sure to be withing weight limit approved from manufacuter. Also, number of cords & weight limit could be a bit higher.